Branding Value Now Branded Adventures Online Shopping-Will It Take Over the World? You know the name, Amazon, but do you know much about the man behind it? For Jeff Bezos, books were only the mere beginning in 1995 when he created Amazon, now a household name. Books were a good start according to Bezos, because people would not need to try them on, or play with them, before they handed their money over. What no one really realised at the time though, was that the man had far bigger plans. Amazon was to be a sort of giant department store, selling everything and anything, to anyone. Reflecting on that now, in 2013, we can see that Bezos was no megalomaniac – his vision is very much alive and kicking today. So is online shopping sustainable? Or will we see a sharp decrease in the coming years? I can only draw from my own online and retail shopping experiences, and what I have read, but here’s what I think. If I rephrase the question, I might ask you how your town’s high street is looking nowadays? Ours is not as cheery as it used to be, with numerous shops now empty, sporting large “Premises to Let” signs on their windows. This is of course happening globally and we all know the reason: the economy. Since the crisis began in 2008, the overheads of running a physical business in a mall or a town centre have proved too much for many businesses, forcing them to close. Online shopping has, on the other hand seen a massive increase of almost 23% in the last year. But will Amazon overtake the conventional store completely? Will the trend pass or last? Shopping as a social activity is perhaps a factor. Many enjoy a Saturday afternoon of retail therapy once in a while, and I must say that despite the empty premises on our high street, there seem to be no less people milling about whenever I am trying to rush to the bank. Some business savvy friends of mine reckon that just getting out and about, popping into shops, picking up and handling the goods we would like to own, will never be able to compete with the lonely act of clicking ‘Buy Now’ with our mouse buttons. I’m not so sure. Busy people (I am one) like the ease of ordering online and having the stuff delivered to their doorsteps. And the online stores are making buying easier and more attractive as we speak. Take the new Amazon App for instance, which this year allowed retail shoppers to compare the prices of goods in stores with the ones offered by the online giant itself. Special promotions and offers were given to customers purchasing online from Amazon and the company even gifted a 5% credit e-voucher for goods bought using the app. Good marketing, some would argue, but it has its dark side too. Whilst online retailers making money is a good thing for the economy – let’s face it, right now anything keeping things afloat must be – those losing retail jobs might not be smiling. Have Small Business Retailers Had Enough of ‘Smart’ Shoppers? The clever buyers who try clothes on and compare gadgets in shops, only later to buy the same, but cheaper product online, are of course horribly frustrating to shop owners. These customers, enthusiastically helped by sales personnel hoping to give good sales service or even make some commissions to bump up their basic wages, have become a real pain in the neck. Some shops have even began to charge a small fee for explaining products to customers – whilst I have not come across it myself, I have read that apparently some US photographic stores now do this. Should we Guard our Wallets, or Protect Our Communities? It’s really hard to balance the advantages and disadvantages I guess. One might argue that warehouse delivery and courier companies have certainly benefitted. More jobs and more gas dollars are spent, and more tax money going into government coffers ultimately benefits us. But what about the pollution from these vehicles? Is it less or more, than the fumes we used to generate by piling the family in the SUV and heading down the mall? And then there is the question of money vs. values. We all love a bargain and of course it makes good sense to save our pennies and purchase things at a lowest possible price. Isn’t it only fair competition to pit the likes of Amazon against “real” shops, to make sure that consumers benefit from the best deals and customer service? Well, it may be, but it is also arguable that we are all far too driven by the idea of cheaper good and bigger profits, when in fact we should be more community oriented and think about saving our local small business owners by buying from them. So whilst Amazon’s creator, Jeff Bezos, certainly has realised his dream for a multinational online giant, maybe we need to reflect on what our own world vision is. 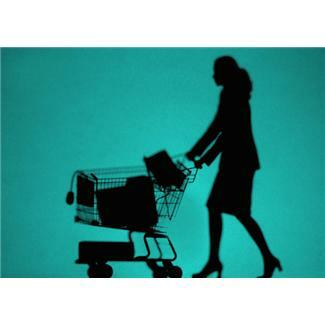 After all, the future of shopping rests in our, the consumer’s, hands. Where do you think we are heading, online or retail? Your opinion carries more weight and power than you realise! Author Bio: Johanna Bergstrom is a blogger and content writer who loves shopping online for everything. She enjoys blogging about economical living, as well as sharing recipes, tips on online shopping and home-making. She’s associated with 123Webshop (http://www.123webshop.com/), an online shop creator helping people fulfill their dreams of having their own online webstore.